Did Lizzie Borden kill her father and stepmother with an axe? 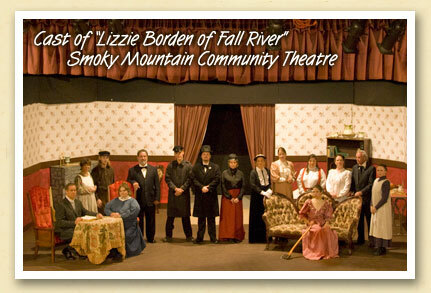 Judge for yourself when the Smoky Mountain Community Theater presents the play “Lizzie Borden of Fall River” July 25-28. Upcoming performances this year include Neil Simon’s “I Oughta Be In Pictures” in October, and a holiday play “Three Wise Men and a Baby” in December. The Bryson City theatre group was organized in 1981 and moved into the town’s old Gem Theatre building in 1989.